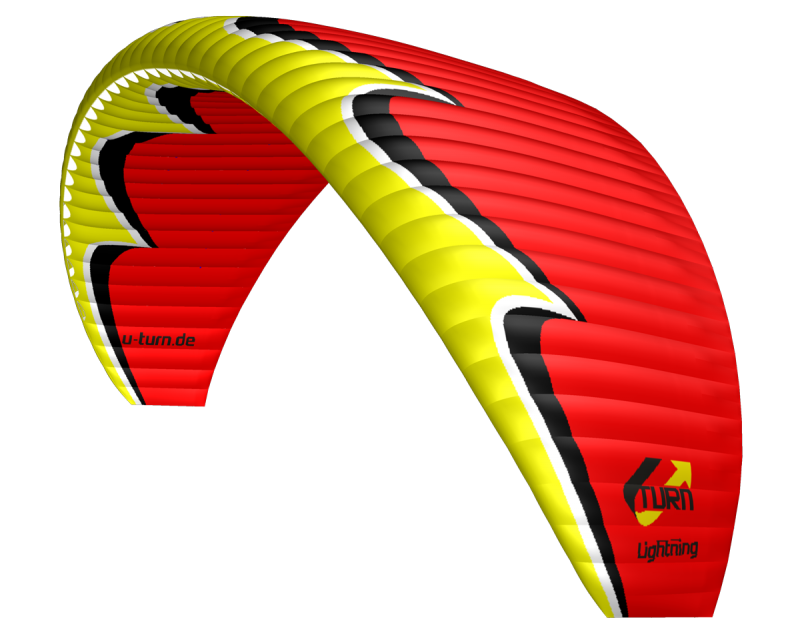 The LIGHTNING is equipped with the High Definition Profile (HDP). Small plastic reinforcements in the topsail from 45 to 80% of the profile depth make a wrinkleless profile line and a good flow along the profile. 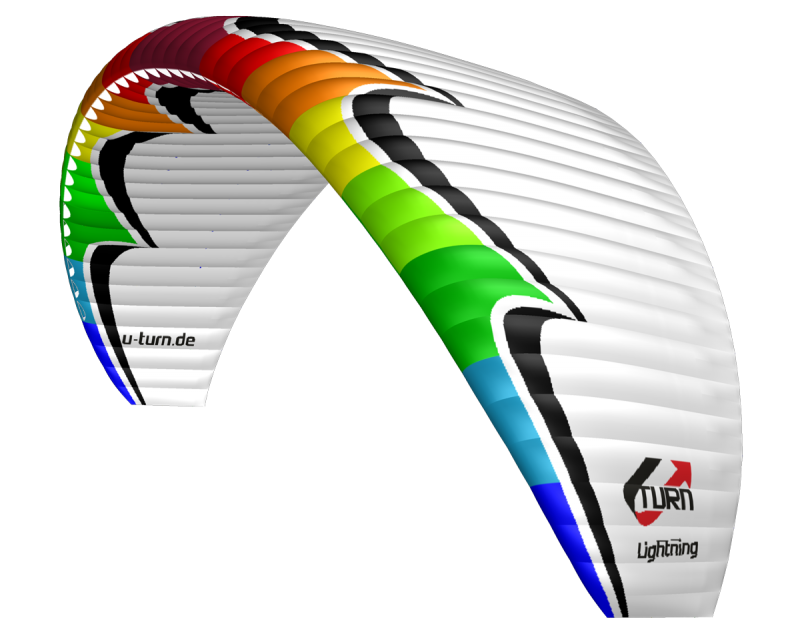 The Precision Profile Nose (PPN) enhances the geometry and stability and hereby the flow around the whole leading edge. The High Pressure Crossport Design (HPCD) ensures perfect cross ventilation and balances pressure differences in the canopy and keeps it on a high level. 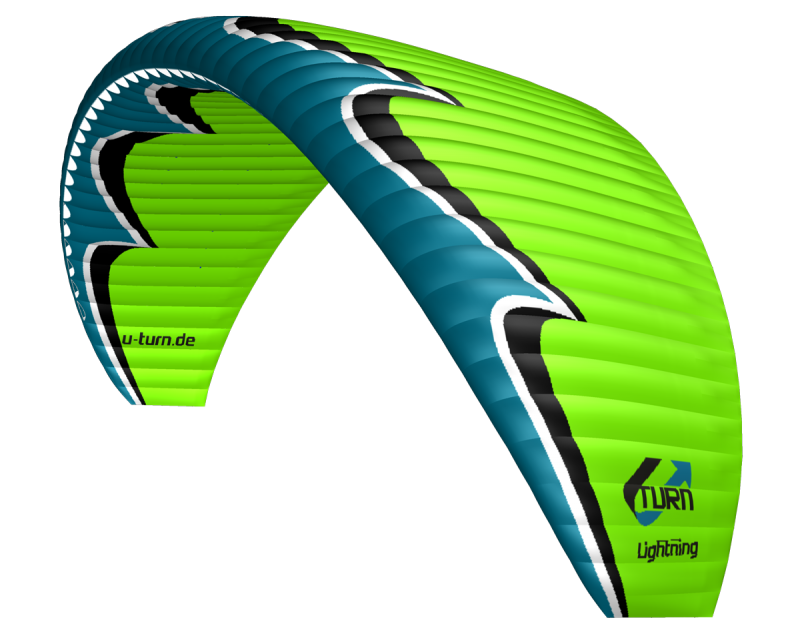 Thus the wing recovers quickly after a collapse -smaller ones can even be prevented.The line to line connections are equipped with the Line Loop Protection (LLP) to prevent the line loops from breaking under peak loads. Therfor a kevlar core is spliced in the line to prevent a tangling of the line loops to other lines.